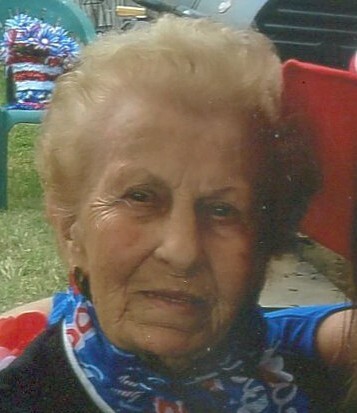 Marie C. Turchetta (Cotoia) 92 of Providence passed away peacefully on Friday, January 18, 2019. She was the beloved wife of Louis Turchetta. They were happily married for 72 years. Born in Providence, she was the daughter of the late Nicholas and Filomena Cotoia. Besides her husband, she is survived by her loving sons Dennis and Donald Turchetta; a brother, John Cotoia and cherished grandchildren, Derek, Selena, Jaymus and Tiffany. She was the cherished and devoted grandmother of the late Shayna Turchetta and sister of the late, Sarah, Guido, Michael, Joe, Adamo, Louise, Rosemarie, Etta, Yola and Carlo. A Mass of Christian Burial will be held on Saturday, January 26th at 11am at St. Ann Church, 280 Hawkins Street, Providence. Visiting hours are respectfully omitted. Burial will be private.